Polycor Vetrazzo, manufacturer of Vetrazzo surface products, will warrant to the owner of the original installation of Vetrazzo surface products, for a period of ten (10) years from the original date of installation, that the surface products will be free from manufacturing defects, provided, however, the surface products are fabricated and installed by a Vetrazzo Certified Fabricator. A list of Vetrazzo Certified Fabricators can be obtained by emailing Customer Service at info@vetrazzo.com. This warranty only covers the replacement of the failed surface product during the warranty period. Polycor Vetrazzo shall hence have no other liability for any other loss, expense or damage resulting directly or indirectly from the installation of the Vetrazzo surface products. This warranty does not cover installation costs. This warranty applies only to Vetrazzo surface products. This warranty applies only to installations that are permanently installed in residences and that have not been moved from original installations. This warranty does not cover surface products that have not been paid for in full. This warranty only applies to surface products that have been maintained according to the Vetrazzo Care + Maintenance Guide provided at the time of installation or available at www.vetrazzo.com. To request service under this warranty you must contact the entity from which you purchased Vetrazzo or contact the warranty administrator at Polycor Vetrazzo directly at 770-735-2611 or by emailing info@vetrazzo.com. Installations must be registered, in order for this warranty to be valid, within 30 days following purchase of your Vetrazzo surface products by registering the warranty online at www.vetrazzo.com/register-your-installation. You must agree to cooperate with Polycor Vetrazzo or its authorized agents in the inspection of the product and will assist us in efforts to perform our obligations under this warranty. In order for this warranty to remain valid for the whole 10-year period, the owner shall, between the 5th and 6th year following registration, contact Polycor Vetrazzo to confirm that they are still the owner of the Vetrazzo surface products by contact the warranty administrator at Polycor Vetrazzo directly at 770-735-2611 or by emailing info@vetrazzo.com. Failure to complete such process shall cause this warranty to expire on the 6th anniversary date of your Vetrazzo surface products’ registration. This warranty is not transferable during the warranty period. It is only issued to the original owner of the surface products, or the original owner of the residence into which the surface products have been installed and shall expire upon transfer of ownership of said products to a third party. Under no circumstances will this warranty exceed ten (10) years from the original date of installation. All decisions regarding this warranty are at the sole discretion of Polycor Vetrazzo and will be communicated to the end user promptly. Negligent routine maintenance that result in minor conditions such as stains, acid etching and water spots that are a function of proper care and maintenance and which may be corrected by following the techniques specified in the Care + Maintenance Guide are not covered. Aesthetic variations in color, glass aggregate particle size and distribution are expected with the use of recycled materials and are not considered a product defect. This warranty does not cover improper use or abuse. “Improper use or abuse” includes, but is not limited to, damage from mishandling or misuse, damage from excessive heat or uneven exposure to weather conditions, physical or chemical abuse, and damage from improper care and maintenance. Please note that abusive treatment to product edging may result in chipping and loss of glass aggregate. This is not considered a product defect and can often be repaired by a Certified Vetrazzo Fabricator or stone restoration contractor at the customer’s cost. This warranty is only valid if the surface product was purchased from an Authorized Vetrazzo Reseller and installed by an Authorized Vetrazzo Fabricator. This warranty does not cover failures due to fabricators not following the prescribed fabrication and installation procedures as outlined by Polycor Vetrazzo. Improper fabrication or installation is the responsibility of the fabricator/installer. This warranty does not cover additional modifications such as plumbing, electrical, tile, cabinets, etc. that may be necessary to repair or replace the Vetrazzo product covered by this limited warranty. Polycor Vetrazzo is not responsible for damage or injury caused in whole or part by acts of God, job site conditions, architectural or engineering design, structural movement, acts of vandalism or accidents. This warranty does not cover products installed with known or visible manufacturing defects at time of installation, including but not limited to color variance or flatness deviation beyond defined tolerances as defined by the Marble Institute of America’s guidelines. Polycor Vetrazzo’s obligation under this warranty is limited solely to the replacement of the failed surface product. Such replacement, however, shall not include the performance of any other repairs or modifications that may be necessary to achieve the actual replacement of the failed surface product (such as, for example, any plumbing, electrical, tile or wall surfacing repairs or modifications). Such other repairs and modifications shall be the responsibility of the customer. If Polycor Vetrazzo determines the likelihood of failure reoccurrence to be high, Polycor Vetrazzo retains the option to refund the original purchase price or to offer a buy-out financial settlement for the fabricated surface product and/or installation thereof paid by the customer in full and final satisfaction of its warranty obligation hereunder.  In order to obtain service under this limited warranty, i) conditions precedent to the validity of this warranty, namely those conditions described in paragraph F hereof, must be satisfied and ii) you must permit your Authorized Vetrazzo Fabricator or Polycor Vetrazzo’s authorized agents to inspect your Vetrazzo surface product at your residence. You must also fully cooperate with your fabricator and Polycor Vetrazzo’s agents in the efforts to service this limited warranty. Except to the extent expressly stated herein or otherwise required by applicable law, Polycor Vetrazzo disclaims all warranties and representations, expressed or implied, statutory or otherwise, including without limitation, any implied or expressed warranties of non-infringement of third party rights, satisfactory quality, merchantability or fitness for a particular purpose, and Polycor Vetrazzo shall not be responsible or liable, in either contract or tort, and whether or not Polycor Vetrazzo has been advised of the possibility of such loss or damage, for any loss or damage, including, without limitation, direct, indirect, special, consequential or incidental damages, arising out of the inability to use or delays in installation of the surface products manufactured by Polycor Vetrazzo. This is the only warranty offered by Polycor Vetrazzo for its surface products. No one other than Polycor Vetrazzo is authorized to make any warranty promise with respect to Vetrazzo surface products.